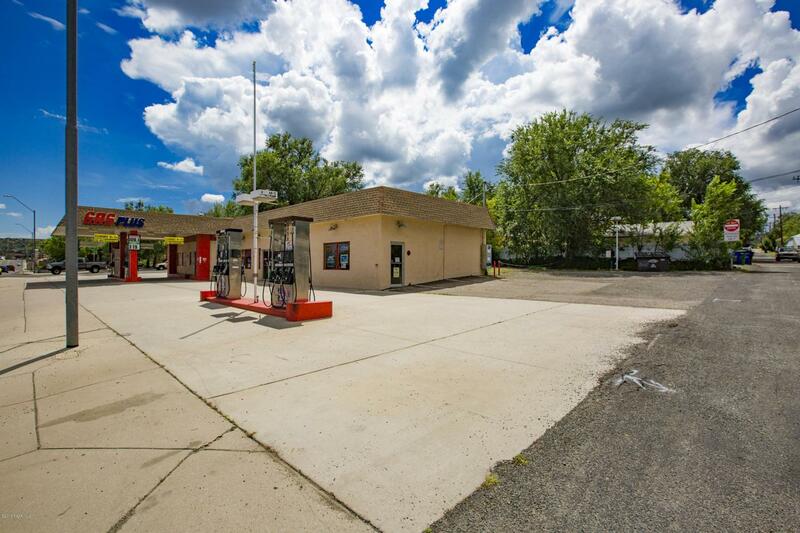 Convenience store and gas station FOR SALE near downtown Prescott, Arizona. Owner/Operator is retiring. Store is located on one of the busiest streets in Prescott with traffic counts ranging from 25K to 30K per day. C-Store is not operating at full capability and a tremendous opportunity exists to bring it up to it's full potential. Add coffee bar, soda fountain, fast food/ deli , souvenirs, branded gas, new management and full time hours of operation and income potential is huge. Plenty of room inside to add all of these amenities. 4 sets of pumps, parking on both ends of the building, entrances from Sheldon and Mt. Vernon and room for additional parking or expansion as the building sits on a 2 original platted lots combined into one parcel. Call list office to set up a showing.